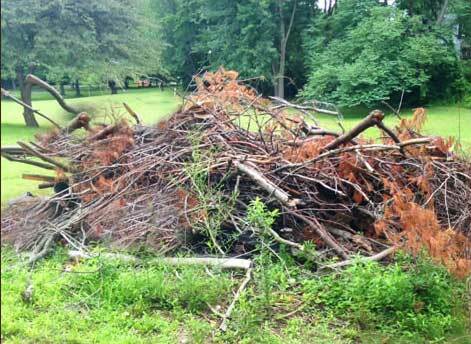 Ready to get rid of that old pile of brush that’s been sitting around for weeks on end? If you are ready to get rid of the old pile of brush that’s been sitting around, then you need to call Capitol Tree Care. We haul away organic tree and shrub material to recycling stations in Austin, TX where they are turned into mulch and composting material. Unfortunately, lumber or wood pallets will not be picked up. Capitol Tree Care provides multiple land clearing services. Our professionals can help with everything from routine removal of Austin TX Large Brush Collection to the removal of tree stumps and trees. If you have unwanted stumps or trees crowding your property, Capital Tree Care can safely remove them while preserving the integrity of your landscape. We will leave your property clean of all debris including your sidewalks and driveway. Remember, tree stumps cannot be hauled away as Brush. Please check out our Tree Removal & Stump Grinding page for more information. Whether you are a home builder, home owner, commercial or industrial developer, etc., we are here for your tree services and we want to help you achieve the results you desire. Call us today for a free estimate and find out how we can assist you with hauling away your Large Brush Collection.